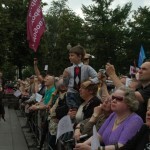 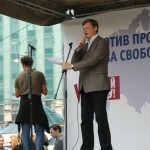 Following the news that yet another Russian opposition party has been denied official registration, opposition leaders and activists rallied in Moscow on Saturday to protest the Russian Justice Ministry’s distressing, albeit thoroughly expected, decision. 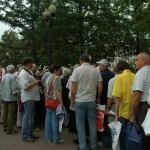 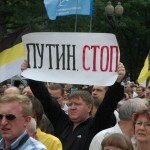 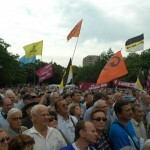 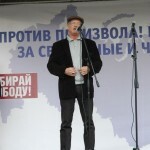 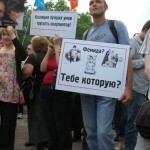 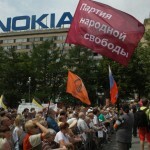 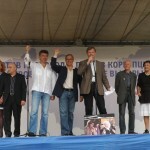 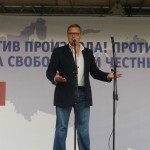 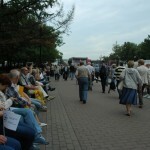 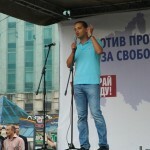 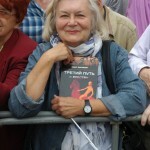 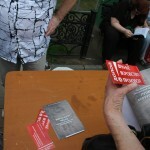 The four leaders of the People’s Freedom Party (known as “Parnas”) – Vladimir Milov, Mikhail Kasyanov, Vladimir Ryzhkov, and Boris Nemtsov – were joined by nearly two thousand demonstrators calling for free and fair elections and an end for the ruling elite. 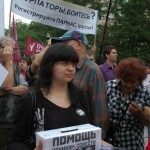 Without being registered by the Justice Ministry, political parties are unable to appear on the ballot in Russian elections. 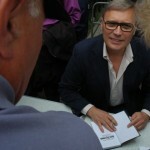 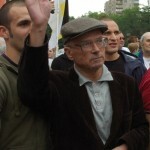 The official reason for Parnas’s rejection was violations in document preparation; specifically, that several deceased persons were on the list of party members. 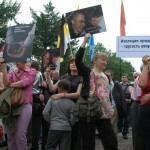 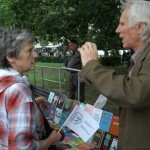 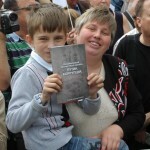 However, Parnas leaders insist that the rejection was thoroughly politically motivated. 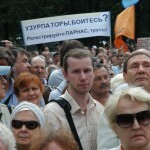 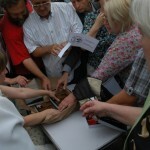 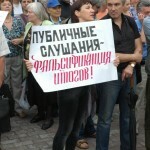 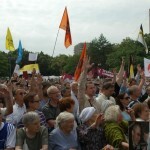 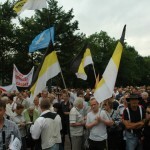 Parnas leaders will decide at a party congress on July 2 whether they plan to file suit against the Justice Ministry.